In the Bible book of 1 Chronicles 13:32b reference was made to “All these men understood the signs of the times and knew the best course for Israel to take”. Obviously it was not everyone that had understanding of “signs” even among the blessed children of Israel. Abia State is God’s Own state and everyone of true Abia origin is expected to have understanding and Wisdom, which the Bible referred to as “the principal thing” and hence should naturally be expected to understand signs and symbols. 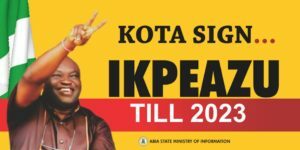 That is why we ask people in Abia State; “ikotara sign”? 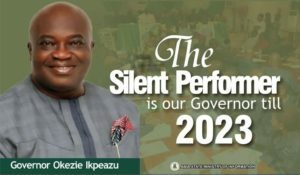 I read a press statement purportedly issued by the secretary of a political party in Abia State wherein he rained abuses, as usual, on whoever “equated Ikpeazu with Mbakwe and Okpara” in the attached billboard. Sincerely, my first instinct was to ignore the publication and move on to better things but the “brother” in me compels me to do this note to help a brother who apparently does not understand “signs”. The words “aspiration” and “inspiration” are intimately associated with modern political leadership. Most great leaders are inspired by the leadership qualities and agenda of others before them whom they aspire to be like. Associating a leader with those who inspired him is very much expected as a global good practice in political communication. Especially when those past leaders were good and the emerging leader is modeling his actions and interventions after those he aspires to be like and who inspired him to lead. That is why most US Republican politicians still inject Ronald Reagan into their campaign materials while conservatives in Britain still celebrate Margeret Thatcher in their political communications. If only the author of the opposition publication understands “aspiration” and “inspiration” in leadership, he would have been more circumspect, to avoid exposing his inability to understand marketing or political communication “signs”. Aspiration simply means a hope or ambition of achieving something and the aspirational refers to something that you hope to achieve. On the other hand, the definition of inspiration includes the action or power of moving the intellect or emotions and the act of influencing or suggesting opinions. There is no doubt that Late Dr M I Okpara and Late Chief Sam Mbakwe were great leaders associated with progress in Abia State. We remember Dr MI Okpara when discussing industrialization and agriculture while Dee Sam Mbakwe is intimately associated with durable road construction. Coincidentally, both men were inspired by Late Dr Nnamdi Azikiwe whom they aspired to be like. At some point in their leadership lives they were also Zik’s protégés. 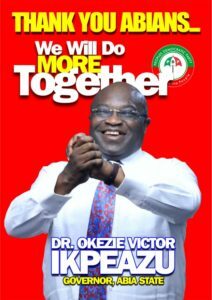 Right from his 2015 campaign days, Dr Okezie Ikpeazu never hid the fact that both men were his leadership heroes and that he aspired to be like them in political leadership. In fact, one of the earliest visitors and supporters of Dr Ikpeazu was the wife of Late Chief Sam Mbakwe, Lady Ahuikpegh Mbakwe. 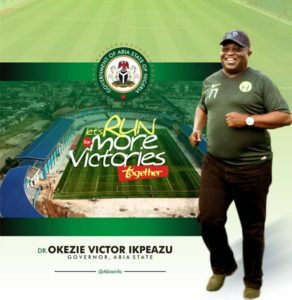 Similarly, the Governor is known to be very close to the Okpara family, including the wife and Omekannaya Uzodinma Okpara who continues to work with the Governor in his major industrialization and agricultural projects. The billboard the secretary of the defeated opposition party in Abia is railing against simply puts the picture of Governor Ikpeazu and his two leadership icons together with the inscription; “The Revolutionaries”. Thankfully, the writer of the misguided article accepted that Okpara and Mbakwe are Development Revolutionaries but has a problem identifying their protege for who he is; a revolutionary in his own right. May be I should remind the opposition that since the days of Mbakwe no leader in Abia State, including military rulers, constructed 62 roads in 35 months while still actively working on 79 other road projects, including the first ever flyover in Abia State. Indeed the opposition must know that Faulks Road used to be known as Sam Mbakwe road because of the work done there by the Imo born hero of Abia people. Ikpeazu is doing an even more profound work at Faulks Road today. Hopefully, when Faulks (Ariaria) Road Aba project is completed end to end, Governor Ikpeazu will consider renaming it after his childhood hero, Dee Sam Mbakwe. With regards to Dr M I Okpara, his agricultural revolution was more keenly associated with palm and rubber plantations. He ran the economy of the old south east region on palms, rubber and cocoa. Today, Governor Ikpeazu has planted 4m tenera palm seedlings out of his targeted 7.5m at the end of 2019. 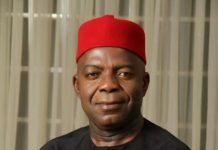 He has also relaunched rubber plantations in Abia State and just 2 days ago, handed over Idima Abam rubber plantation to a private investor with mandate to double Abia’s rubber output by more than 100% within 3 years. One of the publicly stated economic objective of Governor Ikpeazu, who also relaunched large scale “Abia rice” production, is to ensure that by 2022 Abia state is weaned of its dependence on federal allocations. 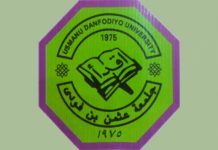 It is expected that by then our palms would have started yielding and our other agricultural products would have gone up exponentially in yields. Ikpeazu’s Abia is already looking towards establishing factories to process and export products within the Agric value chain as against just selling the raw products. Rice mills are springing up instead of the old practice of sending our products to other states for milling. 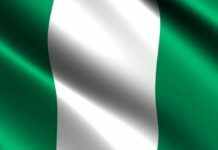 Our moribund industries like Golden Guinea that uses agro-allied products as raw materials are being reactivated while new industries are springing up to improve the gross domestic product of the state and create jobs for our youths. That is why Governor Ikpeazu is aggressively campaigning for young people to forget about Keke and wheel barrow empowerment and engage in Agri-business with necessary financial and other inputs support. Does the political opposition in Abia State know that their state is currently one of the highest producers of mushrooms in Nigeria? Do they even know that an Abian recently received award as the best cocoa farmer in Nigeria? Does the author even know why his own party-men put the picture of Late Ikemba Nnewi, Chief Odimegwu Ojukwu in their billboards? Is he now saying that his own party-men are “equating” themselves with the great Igbo Leader? Anyway, an opposition that exists only at Facebook is highly unlikely to understand signs of the times. Otherwise they would have also known that 2019 Governorship election has already been lost and won. 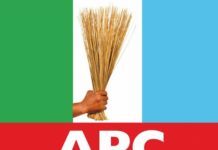 The election was simply won at Faulks (Ariaria) road, Osisioma flyover, Ugwunagbo road, Aba Road Umuahia, Okobo bridge Arochukwu, Ugwuezi road Abiriba, Ofeme-Nkpa road, Made in Aba factories at Aba, Kamalu, Ovom, Ehere, Umuola, Umuatako, Low cost Housing Umuahia, Ahaba Umueze palm plantation, Idima Abam rubber plantations, Abia rice fields etc. 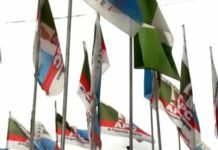 Governor Ikpeazu has used his power of incumbency to work for Abians from day one of his administration and the opposition have no place to put their propaganda posters again. “Nyaa poster na ihe iruru” is the battle cry of a leader who is sure that his work will speak for him on Election Day. 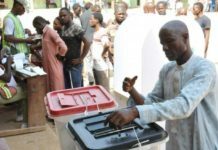 Where exactly is the work of Abia’s opposition? 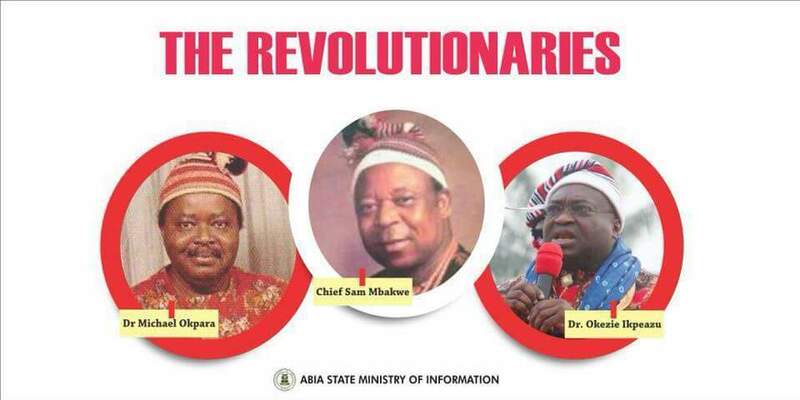 Can their leaders point to any single investment in Abia State that is creating jobs and delivering IGR to the state? Can they point out CSRs they did previously in Abia State? Ebe ka ha ga anya poster, apart from Facebook? My prayer is that the spirit of “ikota sign” will quickly be deposited in these sons of Abia so they can understand the signs of the times.